Accompanying the book of the same name, this CD contains 10 professionally recorded original songs featuring adults' and children's voices, plus complete backing tracks for each song. Used with the book, it is designed to assist children in developing a wide range of skills, knowledge, values and attitudes from a Christian perspective. 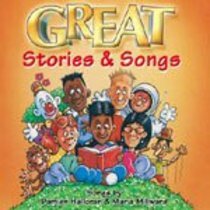 About "Great Stories & Songs"